The VocalEyes survey investigates the information provided on the websites of 1,700 UK museums, covering access to the venue (directions or description of how to get to the venue; welcoming disabled visitors and assistance dogs) and access resources within the venue (Large Print (Arial 16 pt or larger); tactile maps; braille; audio- described tours and guides). The charity said evidence shows that online access information is a key factor in the decision-making process for the 11.9 million potential disabled visitors in the UK, and that many will not visit if access information is absent. However, while it found many good examples of museums’ accessible information online, it also found many simply said they welcome guide dogs despite there being 2 million people living in the UK with visual impairments that it said ‘deserve better access to information’. Overall the report revealed a poor provision of access information on UK museum websites, with many appearing to take no steps to provide information for blind and partially sighted people in particular. As a result it said, these museums will be losing visitors, revenue and reputation, and are potentially in breach of the Equality Act 2010, that requires organisations to make reasonable adjustments to ensure that disabled people can access their buildings and services. 27% of UK museums provide no access information on their website for disabled visitors planning a visit. Only 30% of UK museums provide information on their website that would be useful for a blind or partially-sighted visitor. Only 18% of museums publicise labels or information for their exhibits in large print. Only 10% of museums publicise live audio-described tours / handling sessions for blind and partially sighted visitors. Only 5% are taking advantage of websites that provide detailed access audits such as DisabledGo.com and Euans’ Guide. 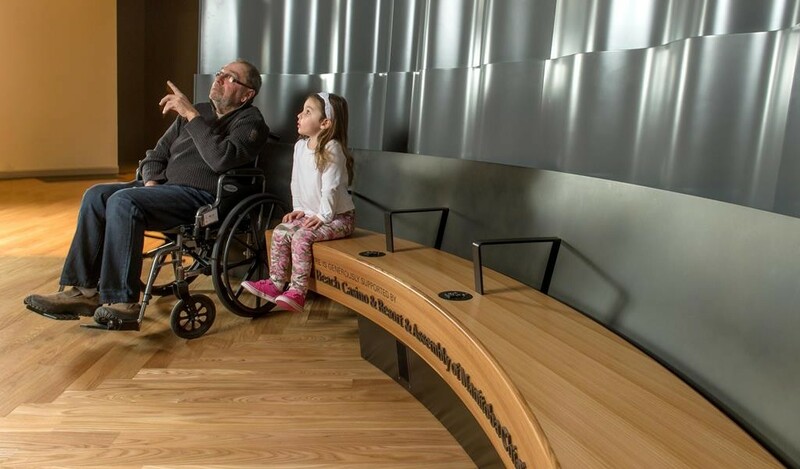 The report, however, did highlight a range of museums across the country that offered resources and public programming include audio-described tours, handling sessions, Large Print and braille labels, tactile maps and drawings as well as trained staff to welcome, guide and support blind and partially sighted visitors. “We hope that VocalEyes’ report will serve as a catalyst for change, driving more museums across the country to facilitate access for all of their audiences,” said John-Orna Ornstein, Director, Museums and South East, ACE.